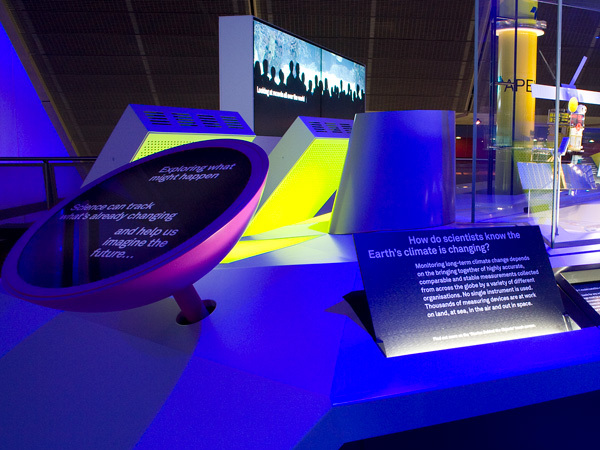 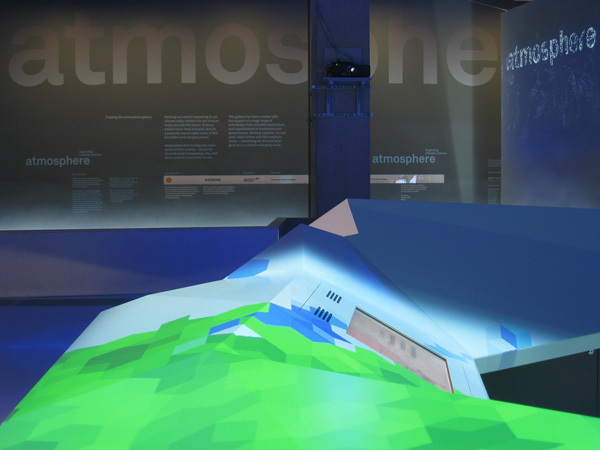 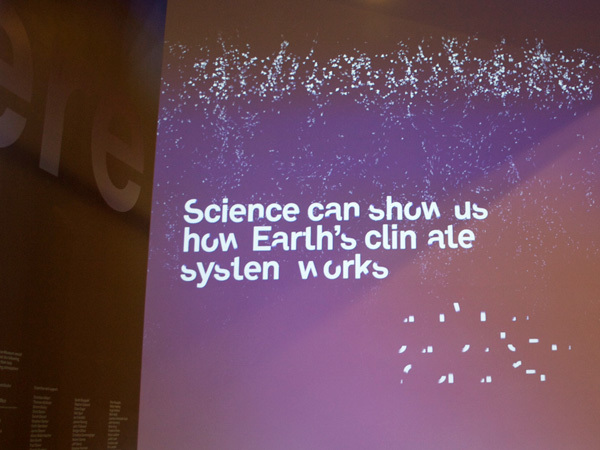 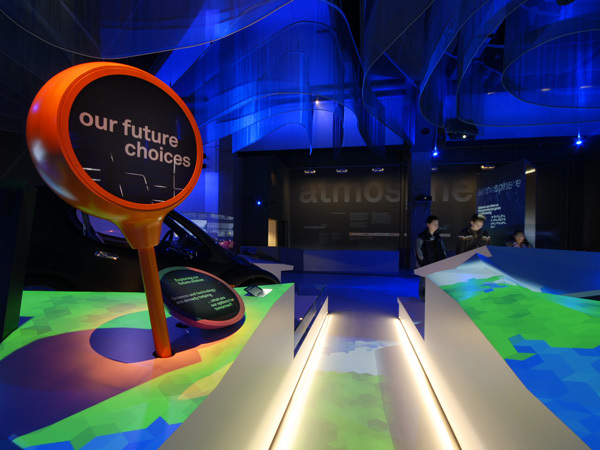 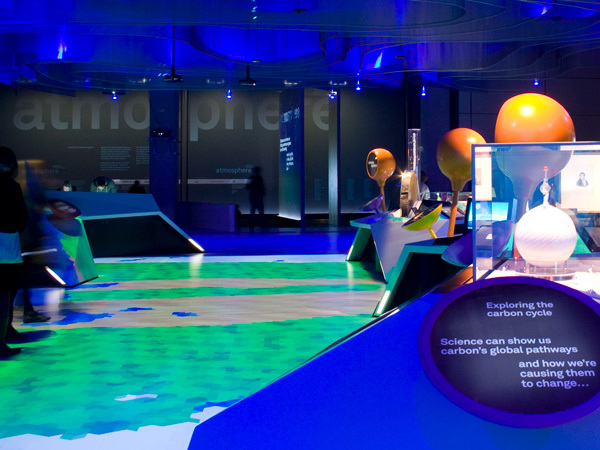 The design of the Atmosphere gallery, the Science Museum's climate science gallery. 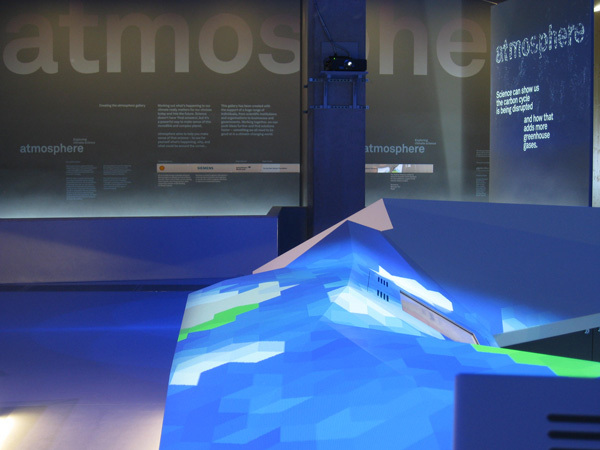 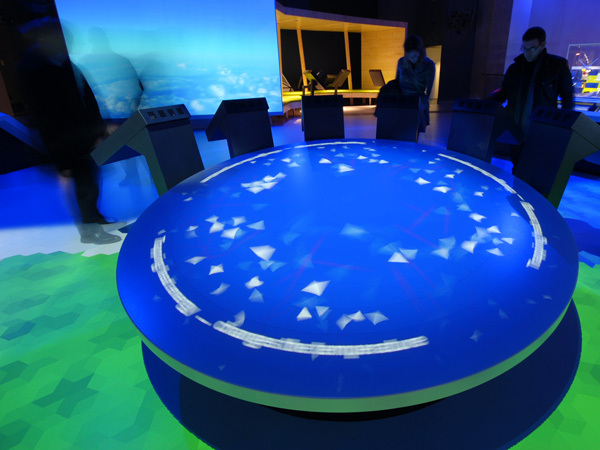 Our colourful, animated graphic projections, (with interaction designers AllofUs), covering floor and ceiling, dynamically register the greenhouse gas emitting game-play of visitors. 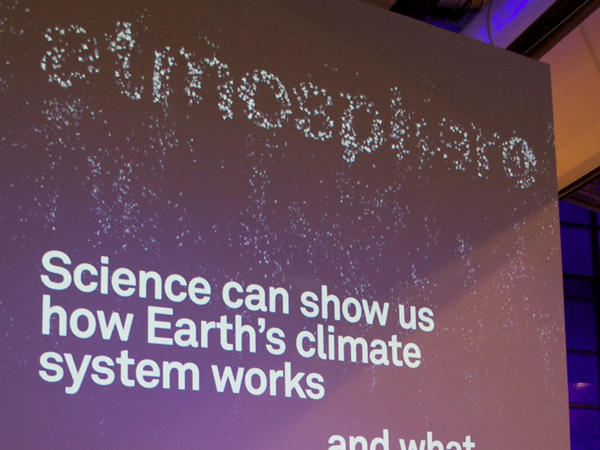 Seeing their effect on the climate, people can make up their own minds on what mitigating action they can take for real. 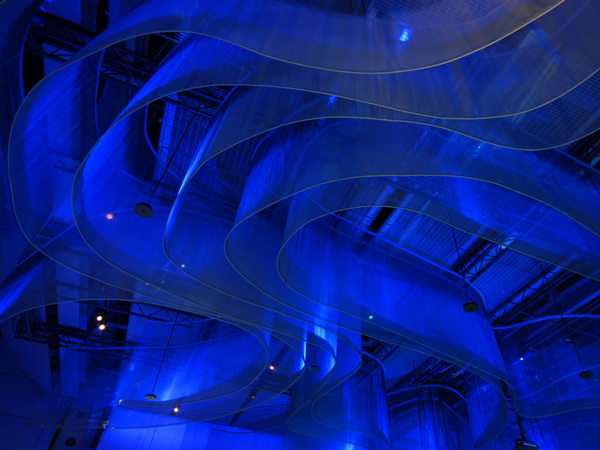 A collaboration with Casson Mann.